I went to visit my sister earlier this year out of state. I spent 6 days with her and her husband doing family stuff, touristy stuff, and being lazy stuff. With her and I being introverts, we were good with the time spent and the talking and lounging that neither of us thought much about it. I get home and a week later my husband says, “why haven’t you called your sister?” I said, “I just saw her last week” (knowing that made perfect sense to me, and my sister, and I know she is not offended by my not calling). He was so totally confused by my statement, and by not calling her. It’s ok that I don’t call her, I just saw her and we talked and had a good time. Now it’s down time for both of us and I’ll talk to her again soon. Everything is fine, really. We’re good. 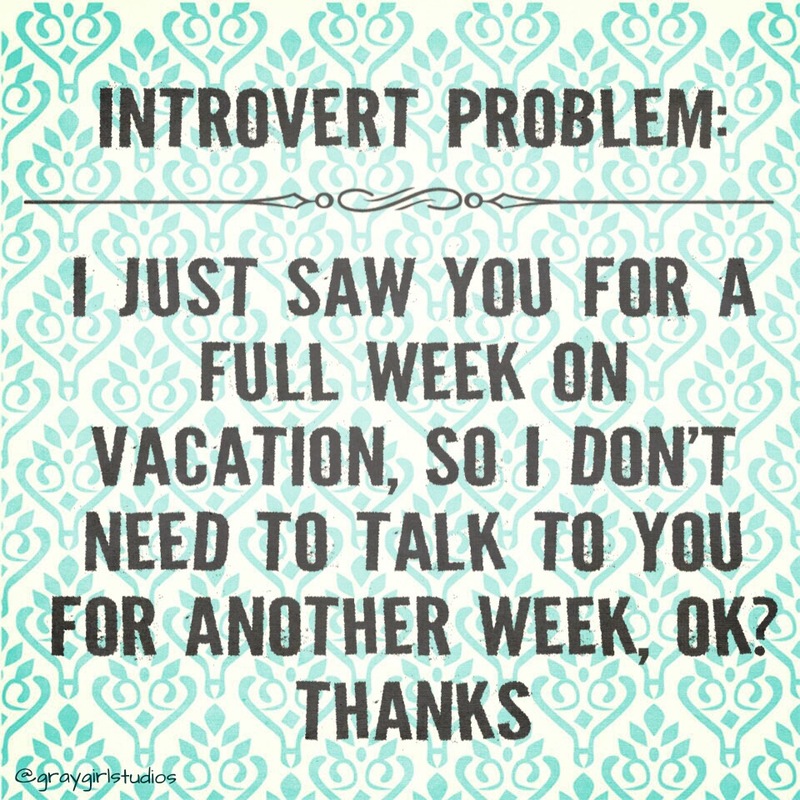 Introverts are good like that. Don’t take silence for anger or indifference. I’m either done talked out or I have nothing of significance to say, so I’m quiet. All is well, really. Don’t stress, it only makes us anxious and that’s not good for anyone. I totally get this! Preach it! !